Times are tough for Chesapeake oysters. For one thing, they used to be bigger. "If you look at what people were saying back in the 1600s and 1700s about oysters, people had to cut them in half before they could even eat them," says Denise Breitburg, an ecologist with the Smithsonian Environmental Research Center. What's more, these oyster behemoths were so plentiful that they formed tall towers stretching up to the water's surface. But today, after decades of overfishing, oyster populations in Maryland's waters have dropped to 1 percent of what they were around 1900. To see how much the population has changed over the years, Breitburg and other biologists and archaeologists undertook the largest survey to date of any shellfishery, chronicling the Chesapeake Bay's oyster population from almost 800,000 years ago to the present day. The researchers were surprised to find thousands of years during which oyster populations stayed stable – the era of Native Americans. The stability suggests Native Americans figured out how to farm oysters sustainably, and their techniques could help support our oyster habit today, according to a study published earlier this summer in the Proceedings of the National Academy of Sciences. 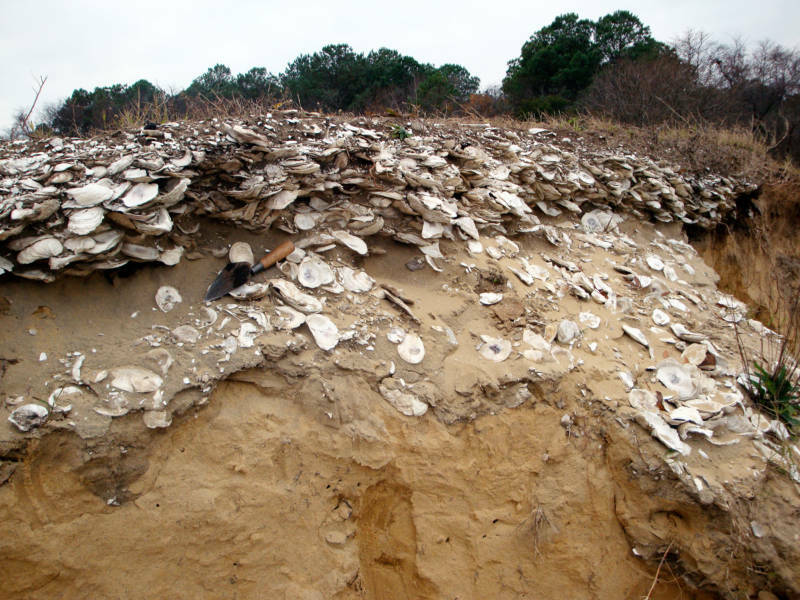 The archaeologists began by studying Native American trash pits, which speckle the Chesapeake Bay coast and are full of oyster shells. 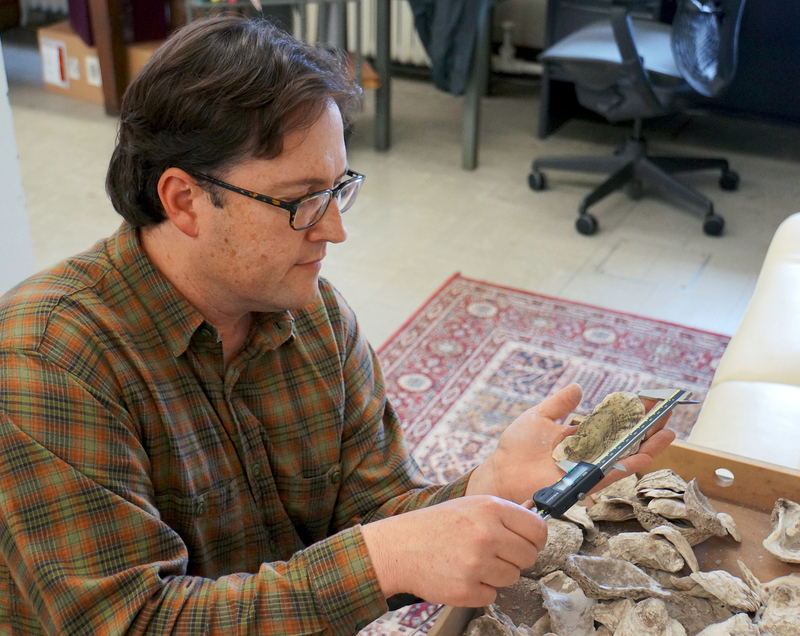 The scientists rounded the survey out by examining oyster size from fossils hundreds of thousands of years old and by analyzing harvest numbers from the 20th and 21st centuries. "The scale of the data set is massive. 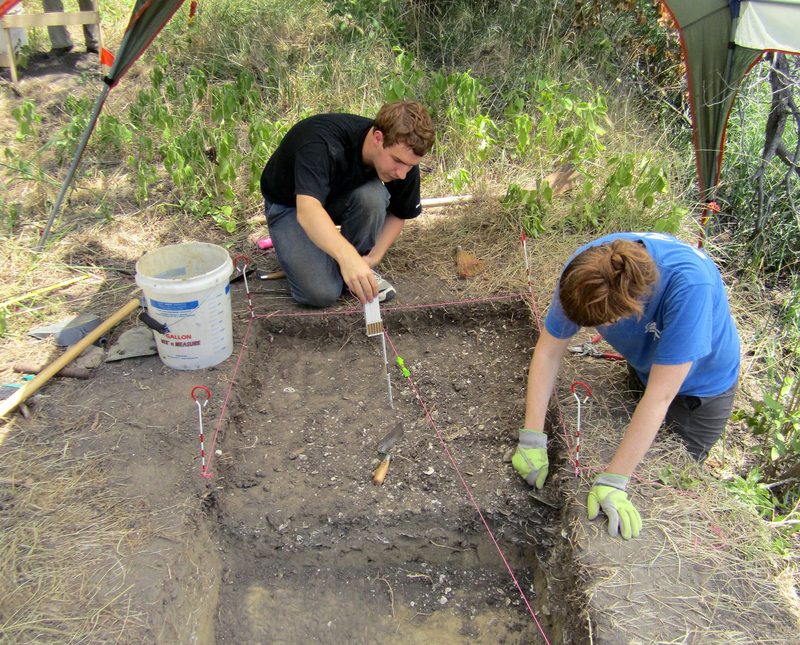 To my knowledge, it's unparalleled," says environmental archaeologist Victor Thompson of the University of Georgia, who was not involved in the study. The team found oysters were bigger hundreds of thousands of years ago than during the time of humans, but no decrease in oyster size happened during the time of prehistoric Native Americans, from roughly 3,200 to 400 years ago. This suggests the oyster population wasn't under increasing pressure as Native Americans harvested them. A relatively low number of humans partially explains the limited pressure on oysters during this period, says lead author Torben Rick of the Smithsonian Institution. But he said Native Americans also seem to have relied on sustainable fishing techniques. Thanks to technological limitations, Native Americans generally fished close to shore, giving oysters in deep water a safe space to grow and reproduce. Native Americans also may have harvested oysters from different areas seasonally, and the rotation gave sites time to recover. So what happened since the time of Native American harvesting? Oyster specialist Stephanie Westby of the National Oceanic and Atmospheric Administration's Chesapeake office blames pollution, overfishing and dredging – a fishing practice that rips up the water's bottom and leaves mud, where oysters can't attach easily to make homes. Without oysters to filter tiny organisms in the water, the water quality suffers. Native American practices, according to Rick, underscore the importance of sanctuaries today. Establishing refuges can be controversial, since fishers rely on oysters for their livelihood, but Rick says well-placed refuges could boost oyster populations for everyone, including fishers. "Ultimately, it's about rethinking our oyster strategy so we can have our cake and eat it too," says Rick. "We don't want to alienate anyone. This doesn't need to pit biologists against fishermen." Some areas are already establishing refuges. In 2014, the Chesapeake Bay Watershed Agreement set the goal to restore oyster populations in 10 tributaries by 2025. Now there are sanctuaries in Virginia and Maryland especially for oysters, Westby says, and hatcheries are producing young oysters to be transplanted to wild oyster reefs. There's also a new source of oysters that Native Americans didn't have – farming. Michael Hild owns Anderson's Neck Oyster Company, which is currently farming 6 million oysters. "Not only are you taking pressure off of the wild stock that remain in the Chesapeake Bay," says Hild, "but the farmed oysters that you place in the water are making water cleaner." Rick says he hopes archaeology can help uncover more about the history of other fisheries, like blue crab. "The past isn't something we can recreate or return to," Rick admits, "but it just gives us much more information to work with."